Aug 23rd, 2009 - Another day. Another ancient city. 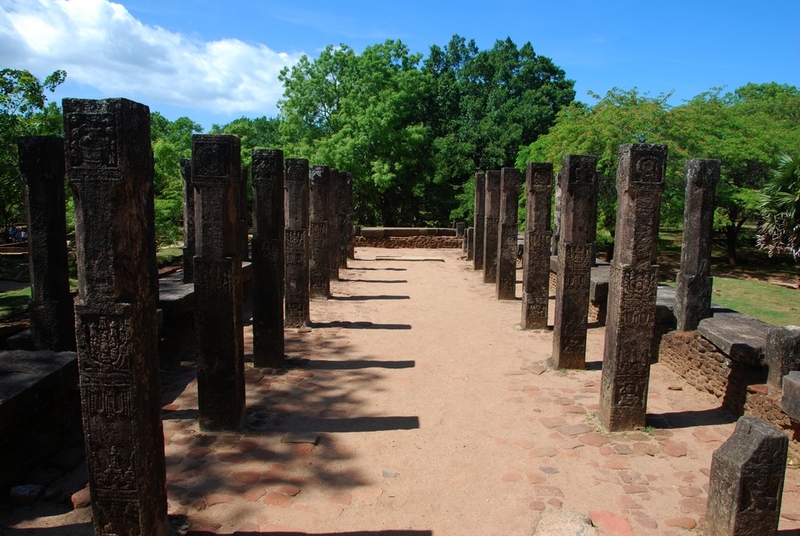 This time, Polonnaruwa. 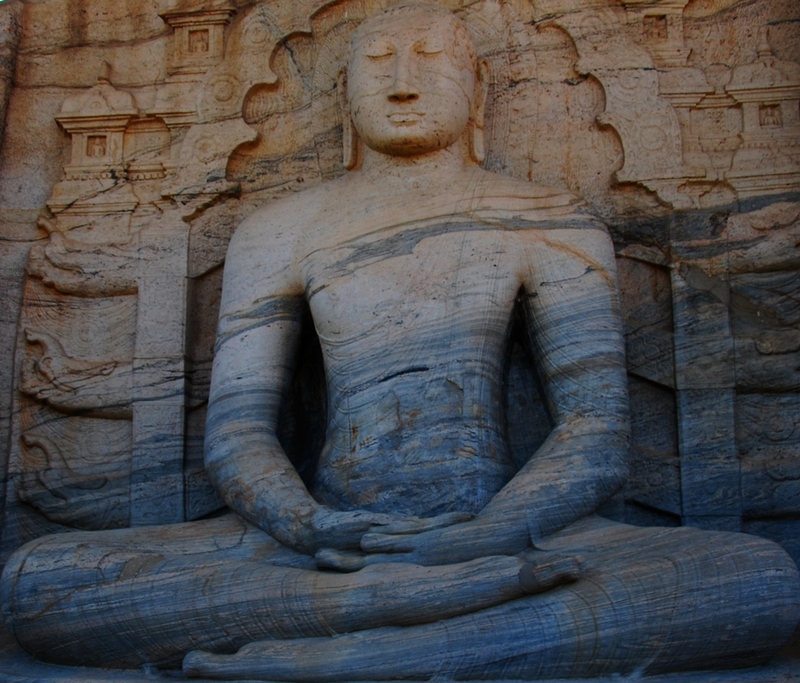 It too is over a thousand years old. 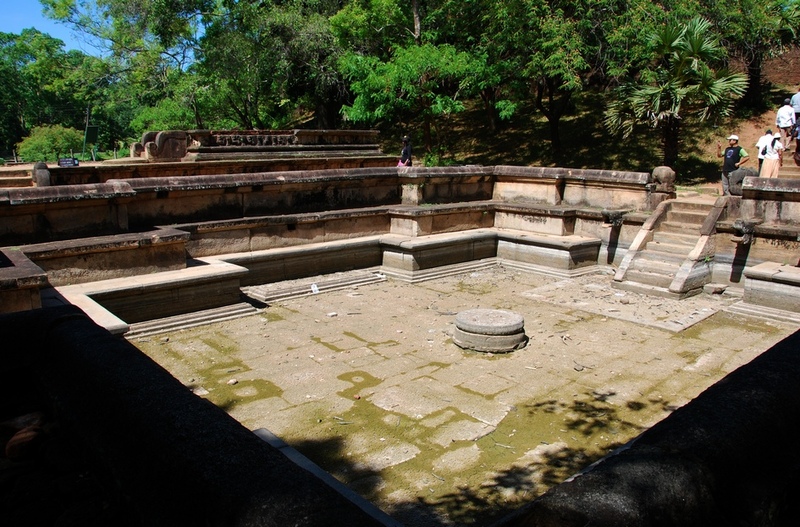 A South Indian King (King Vijayabahu I) made this his capital after conquering Anuradhapura, deeming it less susceptible to attack than Anurad. Also, there were apparently less mosquitoes. Like Anurad this also is an intriguing place. Upon entering the area I was approached by a man offering his guide services. I reluctantly acquiesced ushered upon my hog. 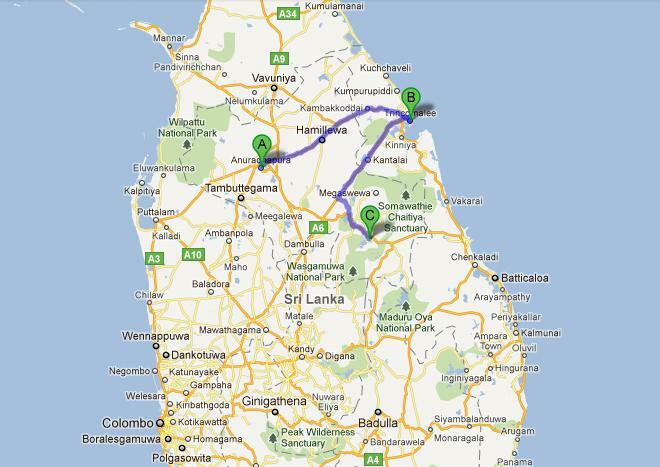 So I spent a couple hours driving from site to site with a small Sinhalese man on the back of my bike. The bike’s height proved to be quite an obstacle for Maxie as he mounted and dismounted my royal steed. Although it was nice to have a guide (at the very least he expedited my movement through the ruins) the fact is many of these Johnny-on-the-spot guides are little more than regurgitating robots. I may be a little fuzzy on the history but the place is well worth a look. The civilization these people created and the advanced characteristics of it are staggering. 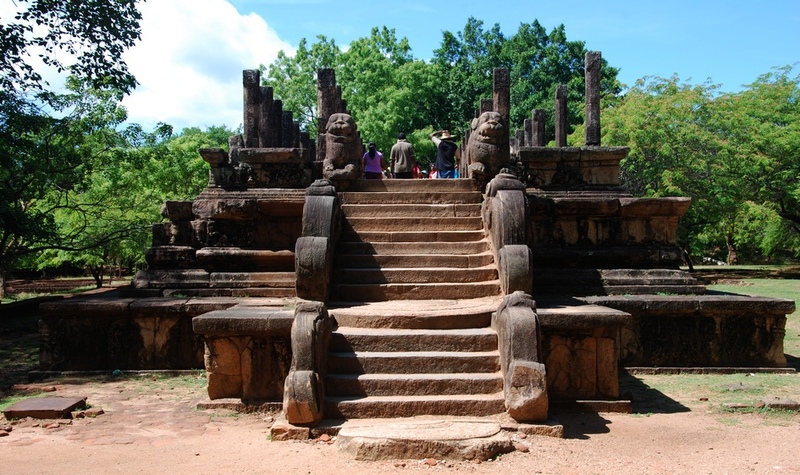 We are fortunate that the sites are still in such relatively good condition. 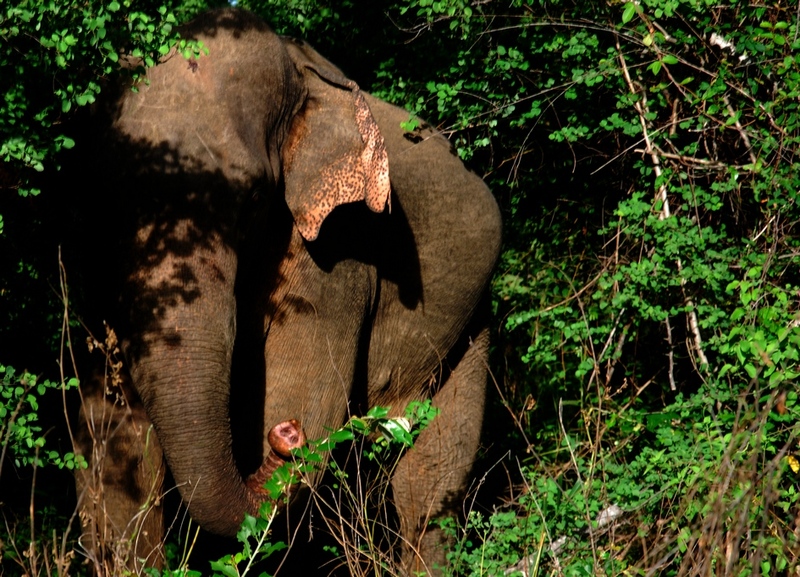 The second half of the day was spent at Kaudulla National Park viewing elephants. During the dry season the elephants tend to gather in the areas near the water to quench their thirst and munch on the fresher grass (they can put away an absurd 350 kg a day). These are not the juggernauts of the African Serengeti but the small Asian version of pachyderm. Still I would not want to piss one off. We did get a small taste when we passed one on the road on the way out. He was disgruntled but clearly (and thankfully) not committed to our destruction. 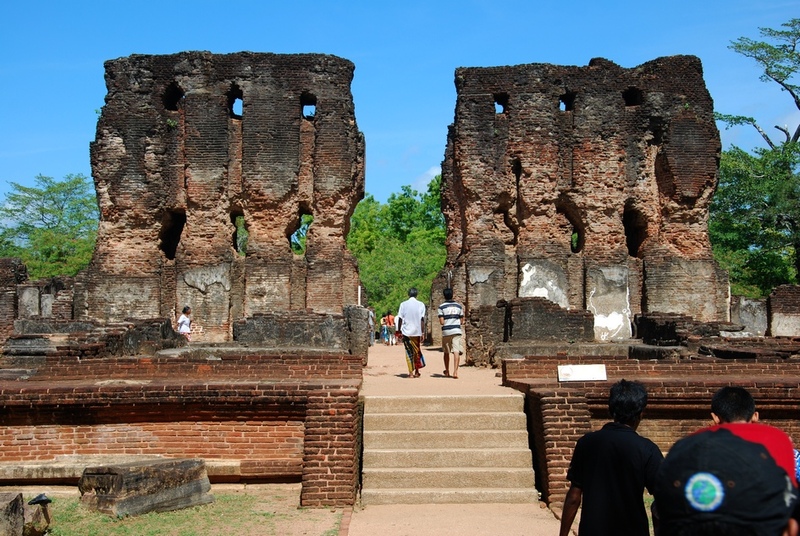 Entering ancient sites and national parks is not a cheap endeavor in Sri Lanka, at least not for Johnny Tourist. 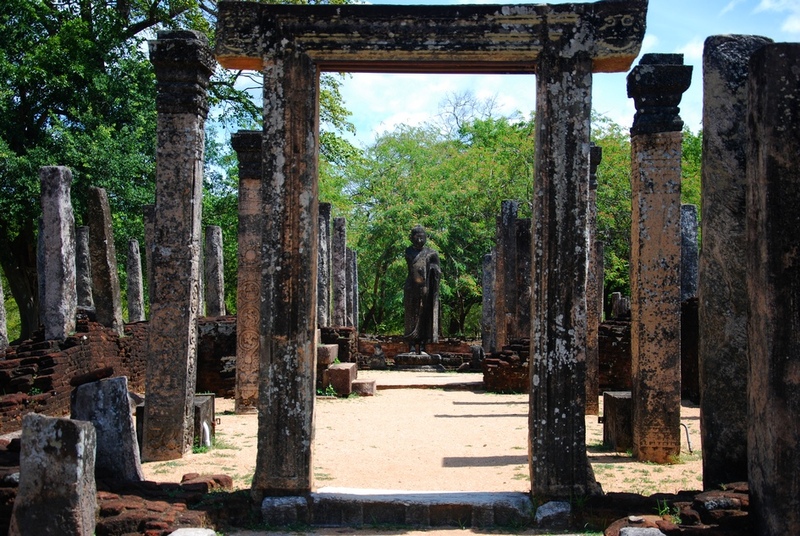 Most of the ancient sites require a $25 entrance fee (it is possible to purchase an all inclusive 'Cultural Triangle' ticket for $50). The Taj Mahal in India costs $15 (Then again, it does get a bazillion more visitors). I am all for preserving World Heritage sites but that is a bit extortionist in nature. The national parks are no exception. A German woman, due to here employment status in country, paid 40 cents to enter the park (resident rate). The cost for Richie to enter: $10. You also pay about $2.50 per vehicle. On top of that there is a ‘service’ charge the purpose of which eludes me (and everyone else for that matter). If only residences are entering the total vehicle charge is a little less than $3 but with Richie inside the service charge was $8. I think the service charge is supposed to cover a park guide that accompanies you but no such person joined us (I did see park officials with fancy vests in other jeeps). If they were a bit more savvy they would simply include the service charge in the price and avoid people feeling like they are falling prey to an arbitrary whim of the Tourism Minister. 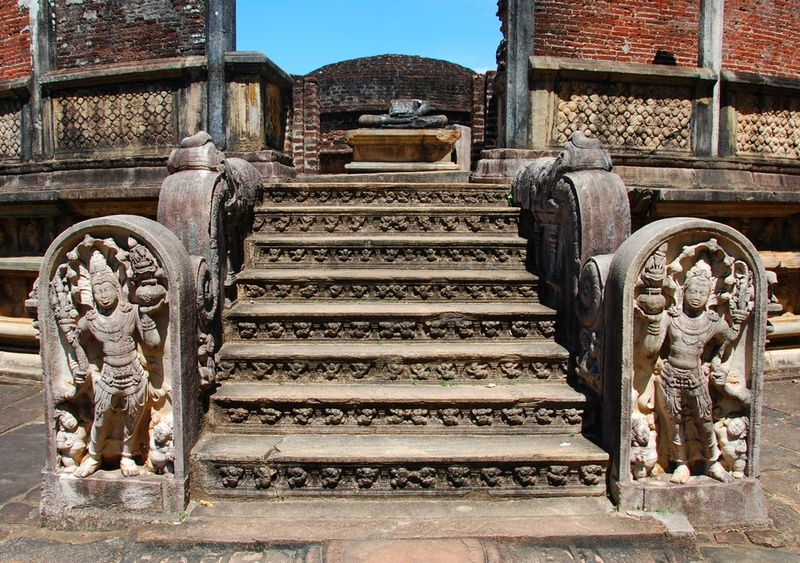 I met a woman married to a Sri Lankan, entitling her to resident rates which means she should have been able to enter Polonnaruwa (and all cultural/historical sites) for free. However, the park officials were hearing none of it and would not let her in unless she paid the $25 fee. Just another example of whitey getting beat down by the man. Whoever is fed up can join my newly formed White Panther Party. There will be meetings (underground of course) every Tuesday and Thursday at 11 pm. Location TBD. See you there.